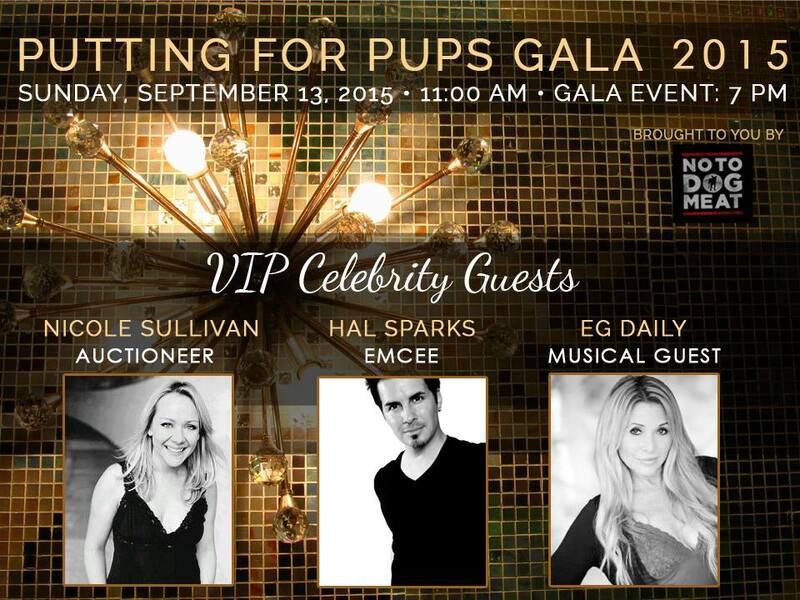 VIP DJ Entertains Doggie lovers that love to golf and/or party for a great cause! These days it’s easy to stumble across a fundraising cause or event that will bring you to tears… Many times I’ve felt that I’d like to do something about this or that horrible thing that’s going on, but get distracted with everything else going on in life. I move on and repeat. I’m happy to say that this time, the opportunity didn’t pass me by because of a wonderful friend, comic and hero to canines and beyond, Fia Perera. Fia runs a non-profit called No To Dog Meat, (yes, the name says it all) She saves animal lives while changing humans minds across the globe, We’re so happy to give back with support from our family company VIP DJ Entertainment for their upcoming event, “Putting for Pups” starts with a Celebrity golf tournament from 11am to 6pm, followed by a red carpet reception at 7pm, cocktails and a silent auction, and an exciting evening gala dinner with a celebrity entertainer that lasts until 10pm. The event takes place on Sunday, September 13th, 2015, at the Brookside Golf Club in Pasadena, CA. Proceeds from the event benefit the 501c3 World Protection for Dogs and Cats in the Meat Trade (AKA “NoToDogMeat”). For more information you can refer to the event website at: www.puttingforpups.com and www.notodogmeat.com. Pro golfer Patrick Dempsey will be joining us for the day as we eat and drink our way around the golf course and if you get a hole in one, there is a Cadillac to be won. Great auction items include a Sue Wong gown, vacation destinations, Botox, spa packages, dinner for four at top Hollywood restaurant, and much, much more! Celebrity VIP DJ Terry will be rocking the red carpet to the dance floor after Nicole Sullivan wraps the auctioneering & EG Daly (Dotty from Pee Wee’s Big Adventure) will be one of the many talented performers entertaining for the evening. 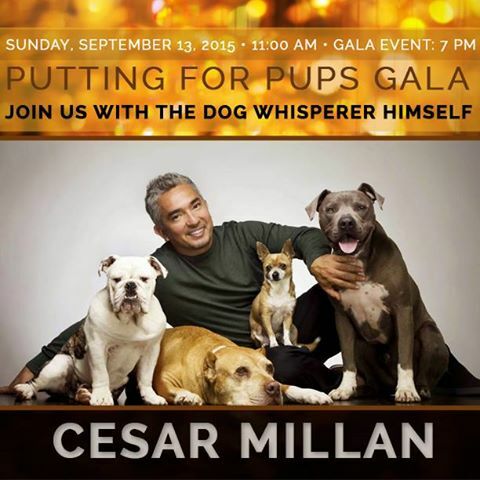 And Cesar Milan will be there? Bet he likes to salsa! We’ll be taking requests, but tickets are limited! Join us and our celebrity supporters for this amazing event. Money raised will go directly to the organization, who is currently working to train dogs rescued from the meat trade to be partnered up with returned veterans to combat PTSD and assist those who have been injured. Again, thank you Fia and to all the amazing people that make this world a better place!